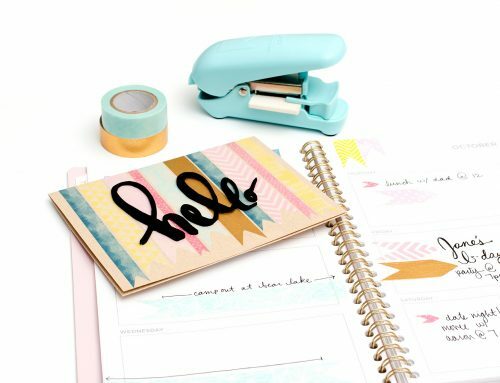 Tools Today with Aly Dosdall | Alphabet Punch Board by We R Memory Keepers! Hello friends! 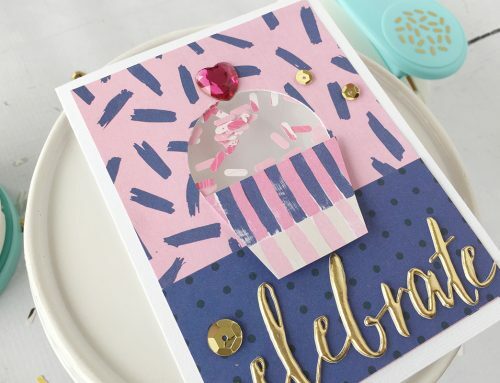 I’m thrilled to be with you today to share the first post in my Tools Today with Aly Dosdall series here at Scrapbook & Cards Today. Each post in this monthly series will feature one of my favourite tools, and will include a project with instructions and a short video demonstrating the tool with some helpful tips and tricks. This month I’m so excited to share a fabulous new tool, the Alphabet Punch Board from We R Memory Keepers! This new punch board is perfect for quick party banners, posters, signs, and school projects, but it’s also a great way to add a monogram or large title to cards and scrapbook pages. Check out the layout I created with it. The Alphabet Punch Board made for a quick and bold title, plus I was able to make the heart accent with it as well. I love finding multiple uses for my tools! Watch the video below where I demonstrate how to use the punch board, and share some helpful tips and tricks. 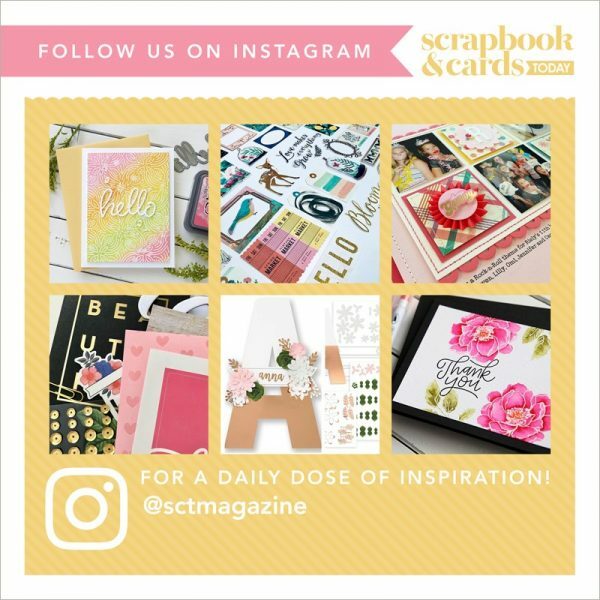 Now that you’ve seen how the tools works, here are some instructions and more details about my scrapbook layout. 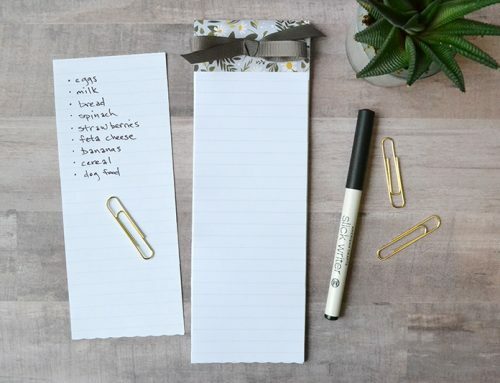 Start by creating the layout title with the Alphabet Punch Board. Punch two of each letter, using one as a shadow layer behind the main letter. Add stickers or die cuts to embellish the title. Using the instructions in the video above, create a heart accent with the Alphabet Punch Board and add it to your page as shown. Layer a framed photo and some embellishments over the heart. Print or handwrite some journaling below your photo and heart. Since the title is the focal point of the layout, I kept my photo and other elements smaller in scale to create a sense of balance. To keep the layout from getting too busy, I decided to stick with only four colours from the paper collection–navy, fuschia, light pink, and red. I also avoided the large bold patterned papers in the collection. Well, that’s it for today friends! Thanks for having me, and I hope you’ve learned something about the Alphabet Punch Board. Feel free to ask me any questions you have about it in the comments below, and I’ll do my best to answer them. Be sure to visit my website alydosdall.com for tons of paper craft ideas and inspiration. Crafty cheers, and I’ll see you next month! This fun tool is definitely on my wish list and I can;t wait to get it!! FABULOUS layout and SUPER COOL TOOL!!! Thanks for this video. I have been wondering about this tool. thanks for the heart instructions too. Love the LO and how you created it with the ‘alpha’ tool!! Thanks so much for your kind words friends! This tool is so much fun! Love your creativity with this tool!! Fantastic! This is a great idea for a series! I’m a very visual person and being able to watch how-to videos takes all the guess work out of it for me and will help me decide whether to buy the product or not. Thanks Aly & SCT! I watched this video the other day. This punch looks fun to use. I have many punch boards and they are wonderful to use as I really do not have to think a lot. I love that they give many instructions which makes them so easy. I watched it the first day and it looks like it is great to use and easy to carry. I loved the instructions for making a heart. It looked so easy. Wow that is exciting! Way better than big letter dies! Hope it shows up in our stores soon. I love my envelope punch board and this would be great to add to that collection. I really enjoyed sharing your layout using the alphabet punch. So many different uses for such a great tool! Thank you for the chance to win one. Love love love this punch! Imagine the scrapbook pages I could make!